Ananya Panday’s Cousin Ahaan Panday to Make Bollywood Debut With Rani Mukerji’s Mardaani 2? We know that Chunky-Bhavana’s daughter Ananya Panday is all set to make her Bollywood debut with Student of the Year 2. This young diva has already impressed everyone with her debut on the chat show, Koffee with Karan season 6. 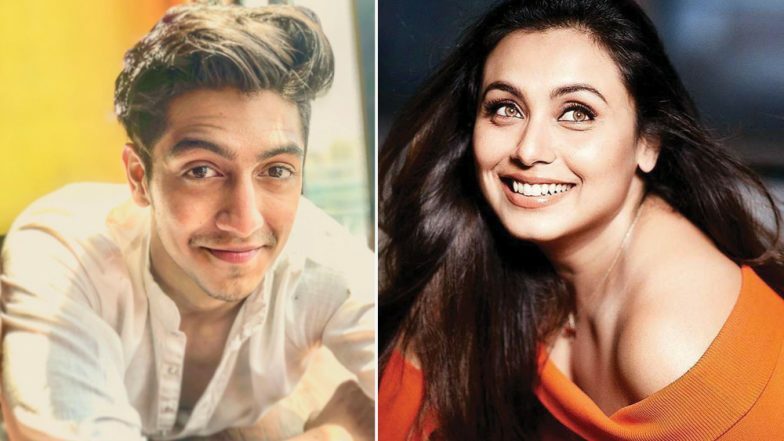 Now it is heard that her cousin brother Ahaan Panday would also be entering Bollywood with Rani Mukerji’s film, Mardaani 2. Like Sara Ali Khan Even Bestie, Ananya Panday Will Have Two Releases in her Debut Year. The crime-thriller Mardaani released in 2014 with Rani Mukerji in the lead, was a blockbuster. Produced by Aditya Chopra, the film showcased the issues of human-trafficking in India. Talking about Ahaan Panday, the youngster would not be making his acting debut but he’ll an assistant director for the upcoming film. In an interaction with IANS Ahaan was quoted saying, “I’m just excited to be a part of this wonderful industry. Films and acting has been something I’ve always been interested in, glam isn’t what attracted me to this, my love for the craft and film did! I’m excited for the destination and the journey already excites me.” Mardaani 2: Rani Mukerji as the Feisty Cop Shivani Shivaji Roy is Back. Let’s not forget, Varun Dhawan, Arjun Kapoor have all started their journey as an assistant director before making their acting debut. Recently, Shanaya Kapoor also joined as an AD for Janhvi Kapoor’s upcoming film Kargil Girl, a biopic based on Gunjan Saxena. Coming back to Ahaan Panday, it was recently when his uncle Chunky Panday had dropped an hint about his nephew planning to enter Bollywood.